Our East Providence law firm is committed to providing vigorous legal representation for families and individuals during difficult times. At Robert M. Brady, Attorneys at Law, we help people in serious injury claims, divorce, and estate administration matters. Our attorneys are experienced and responsive. Contact an experienced Providence law firm today. With a strong record of success and positive relationships in the Providence area, our law office receives much of its work through referrals. Lawyers across the state refer cases to us and former clients return to for legal advice in a variety of matters. With over 25 years of legal experience in Providence, firm founder Robert M. Brady maintains long-standing relationships with clients and members of the Rhode Island and Massachusetts legal community. A well-respected trial attorney, Mr. Brady has presented a constitutional law case in front of the U.S. Supreme Court. He handles matters in all county, state, and federal courts in Rhode Island and Massachusetts. At our personal injury firm of Robert M. Brady, Attorneys at Law, we provide effect legal guidance that helps people through challenging times. One of our family law lawyers is also a behavioral psychologist with 20 years of experience helping families. We help all members of the family understand the divorce process and vigorously pursue their best interests in custody and support agreements. If you have been injured in a car, motorcycle, or truck accident, be sure that your voice is heard. 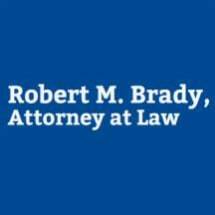 Call Robert M. Brady, Attorneys at Law, for strong representation in accident injury claims. Contact an East Providence personal injury law firm.